Twenty years ago, Rusty Glidden shook the drag racing establishment when he admitted illicit use of nitrous oxide in his Pro Stock Ford Probe. 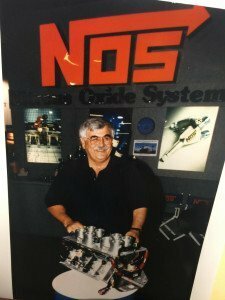 His father, Bob, had exhausted the NHRA’s patience with repeated accusations of nitrous use in the class, causing the sanctioning body to react. Accordingly, NHRA’s then senior VP, Graham Light, vigorously denied the allegations, proclaiming them as nonsense and fiction. Then Glidden’s son, Rusty, presumably in an attempt to defend his father’s reputation and in so doing ruining his own, confessed that he, in fact, had been an offender, thus conclusively proving the point. According to racers from that era, Rusty also harbored deep suspicions of wrongdoing in Pro Stock and had urged the NHRA to investigate but had achieved not a thing. In the end, he left no doubt as to how the deceit could be perpetrated, disclosing full technical details in the magazine Super Stock published late in 1995. It defined in unambiguous detail how the weight bar at the rear of the car had served as the nitrous holding tank. The disclosure’s startling immediacy is still an astounding thing to remember; the significance of what he’d done and how ingeniously it had been orchestrated remains vivid. Father Bob Glidden later declared the nitrous oxide system was detection-proof. To prevent a tech inspector from activating it by switching on the ignition and opening the throttle, a combination of events were required. “The shock switch had to be on, the computer switch on, the engine running and the throttle fully open. Trust me, this isn’t fiction,” Glidden concluded. Some regarded the affair as a heroic episode while others realized it had extensively diminished Rusty’s star, which is the reason ensuing alleged offenders have been less forthcoming, confounding prying minds for years. 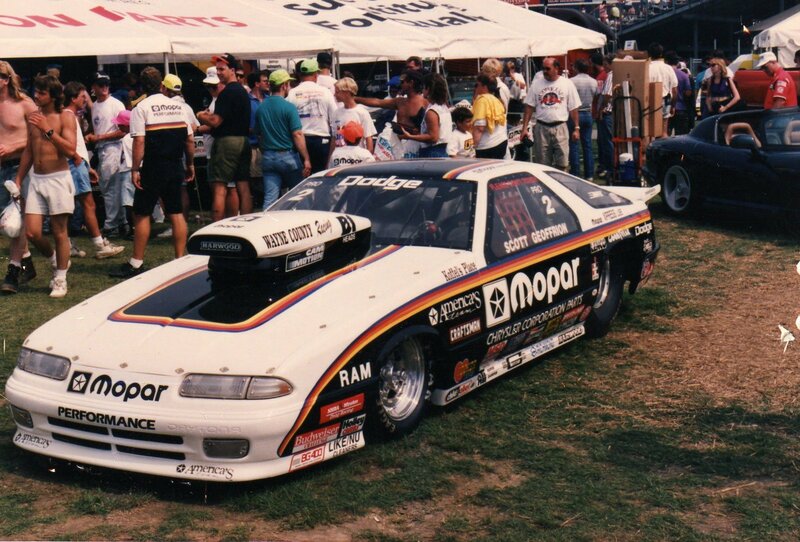 Though the Jerry Eckman – Bill Orndorff Pro Stock nitrous explosion at Columbus, Ohio in the late nineteen-nineties couldn’t be denied, details of the Dodge Boys alleged transgressions remain unsubstantiated. 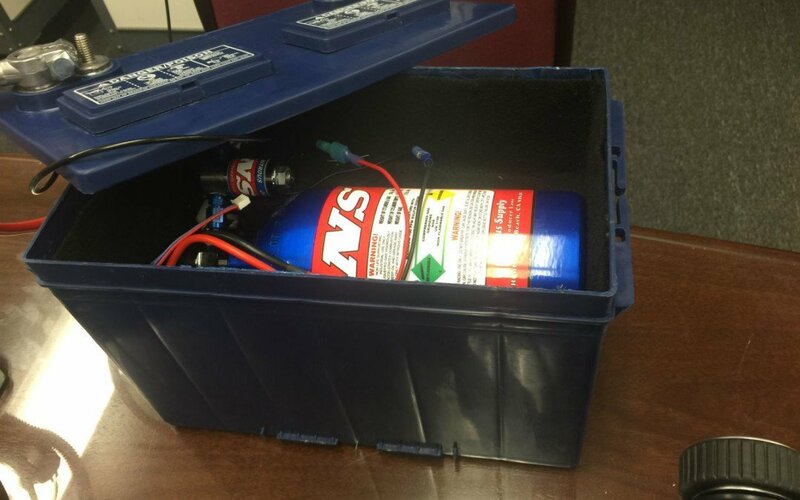 In the Eckman incident, a nitrous cylinder had been concealed in the dry-sump oil reservoir, which, unsurprisingly, overheated and exploded—and with it Eckman’s career. Equally condemning had been Warren Johnson’s outspoken observations. Johnson, as intelligent a man as ever developed a race car, had calculated that the performance of the Wayne County Mopars in the high altitude conditions of Denver, Colorado was impossible for any naturally aspirated car at that time. In addition it was also widely speculated that the Chrysler Dodge Corporation, who were active sponsors of the NHRA races, were informed of the strong likelihood that the leading Mopar cars were engaged in the illicit use of nitrous. Obviously, no corporation wishes to be embroiled in cheating. To bring the matter to a head, it was alleged that the NHRA advised the team that they would be investigated at the next race. But the circumstances of the events that preceded the race shocked the drag racing world. 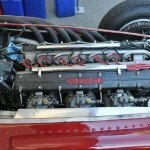 Of course, Eckman echoed the widely held presumption that the team knew their cars would not be competitive without nitrous and had deliberately sabotaged their own race efforts. Predictably they claimed the motors were too severely damaged to race, which ultimately led to their bowing out of racing. More interestingly still was the encounter of Musi’s senior engine assembler. 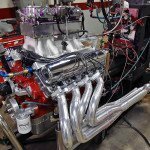 “My guy, Robert, who has been with me since the early 1980s, was over at Frank Iaconio’s shop and on the day of his visit one of the Dodge Boys’ engines was being tested on Frank’s dyno. ‘Well,’ Frank told them, ‘you’ve got a number 16 or 17 qualifier here.’ The engine averaged 75hp down from pole-position power. Yet, at the next race they go to the pole!” exclaims Musi. “I’ll give them this,” he conceded, “within that container of engines and engine parts there must have been 200 camshafts and miles of exotic plumbing. So they were trying to make power but none of it was working.” Four of the Dodge Boys’ engines are now racing in Curacao, a Caribbean island off the Venezuelan coast. In common with Glidden’s arrangement, nitrous on those winning Dodges most likely would have flowed up from the motor plate to the hood scoop via its rifle-drilled attachments rods. 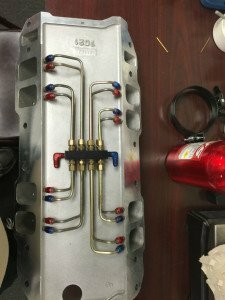 Where it might have differed, lies in the method used to transfer the nitrous from the rear of the car to the engine mounting plate. 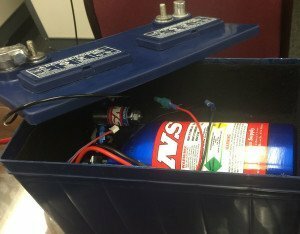 This was probably achieved by an artificial battery or battery box and cable with the copper wires removed to enable the flow of nitrous. Says Mike Thermos, “It’s so easy to make significant power increases with nitrous oxide and, therefore, its elicit use has always been a temptation, particularly when competition is tight. A 0.030in orifice would generate an additional 50 to 60hp.” Nonetheless, it takes a person of rare perception to uncover a fraud executed by an exceedingly cunning mind. Making substantial power with nitrous oxide is easy. A 0.030in orifice generates an additional 50 to 60hp. 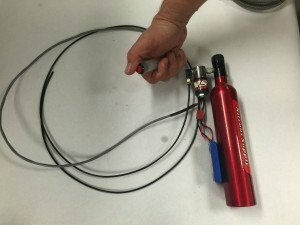 Devious racers might use a 2lb bottle, a jet with a small-bore high pressure nylon line. Radio-controlled, the transmitter works in conjunction with a small battery-operated receiver concealed in the battery box. He goes on to suggest the line would run through the battery cable—the ground side as it connects to the intake manifold bolt. 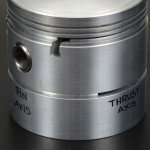 The bolt would be drilled and the tube would enter under the manifold and into the lifter valley area where it can be plumbed into the plenum. Of course the clever trick is having it discharged from a remote control—perhaps by someone in the push truck. The driver may be entirely unaware! 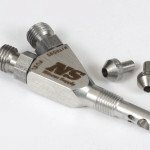 Extra fuel would be supplied to the carburetor to enrich the nitrous mixture. Subterfuge: Though it’s unlikely the professional would be duped by this layout, it is a popular ruse among street racers.